Just because a couple with children gets divorced, does not mean that they relinquish any of their parental rights and obligations. For instance, in Florida, both parents are held financially responsible for the care and well-being of their children. 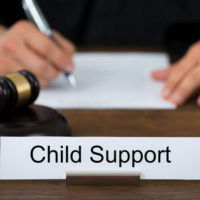 This means that parents with primary custody are entitled to receive child support payments from the non-custodial parent, which are made in accordance with a court order. However, there is often a delay between a couple’s separation and the issuance of the order, which can leave custodial parent’s struggling with expenses. Fortunately, Florida allows custodial parents to collect retroactive child support, which accounts for the funds owed between the initiation of divorce proceedings and the finalization of the court order. Collecting these payments can be difficult, so if you are divorced and have not yet received child support from your ex-spouse, it is critical to speak with an experienced child support attorney who can advocate on your behalf. Even after a couple divorces, they still have certain obligations when it comes to their children, one of which is to provide financial support. In most cases, this takes the form of the non-custodial parent being held responsible for providing payments to the other parent for the care of the couple’s children. However, these payments do not need to be made until the court officially issues an order stating the amount owed. This doesn’t mean that non-custodial parents are off the hook for the time between the initiation of divorce proceedings and the court’s child support order, as judges are permitted to order retroactive child support to account for this time period. Retroactive child support payments are calculated in the same manner as traditional child support, which means that courts base the final amount owed on the parent’s actual income during the period in question. If, however, a parent is unable or unwilling to demonstrate his or her actual income, the court will use that individual’s income at the time of the hearing when making its calculations. In many cases, the latter amount is much higher, as divorce is often accompanied by changes in employment, housing, and living standards. For this reason, it is important for non-custodial parents to respond promptly to the court’s request for evidence of income because those who fail to do so, will often be forced to pay a higher amount based on their new income even though they were not so employed during the retroactive period in question. This is not the only factor that courts take into account when ordering retroactive child support, as courts are also directed to consider any actual payments made by one parent to the other or to a third party for the benefit of the child during the retroactive period. The plan put in place by a judge will be tailored to the couple’s unique circumstances and will also account for any regular child support payments that must be made. However, retroactive support does not reduce the amount of standard child support payments that are ordered by the court. To speak with experienced Fort Lauderdale child support attorney Sandra Bonfiglio, P.A. about your own child support-related questions and concerns, please call 954-945-7591 today.